This device is used to lift and weigh 1-ton aluminum ingot bundles. 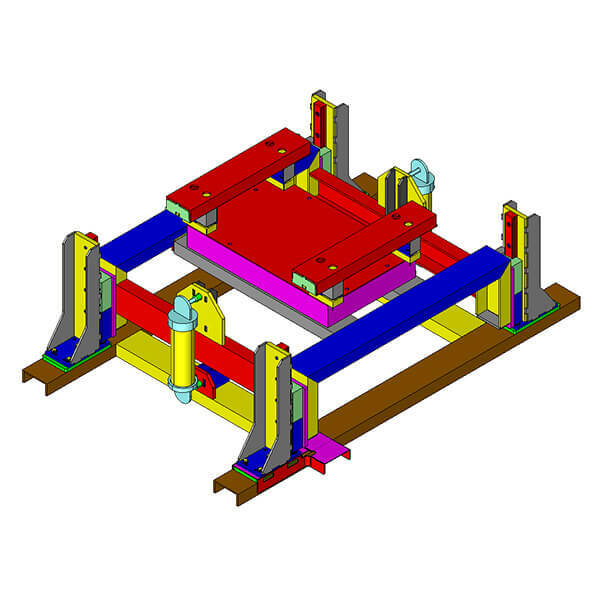 The bundle scale uses hydraulic cylinders to lift and lower the aluminum ingot bundles and is guided by four linear bearings rails. There are four load cells strategically placed inside the scale which send an output signal to a computer which displays the accurate mass of the aluminum bundle. Operators safety during operation of the bundle scale.